So the problem I've been having is the gun has been simply not firing. 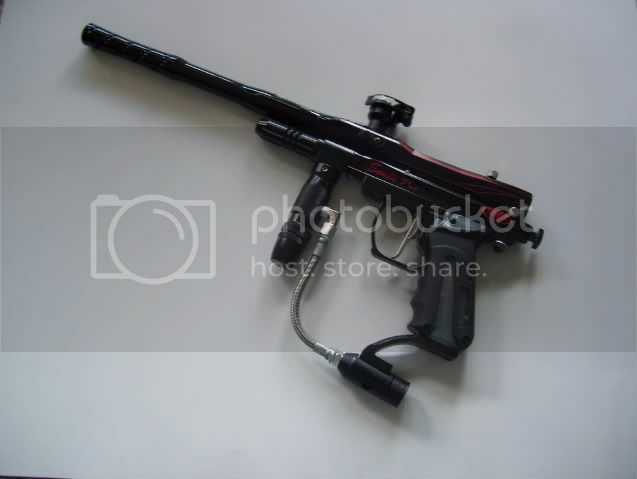 I hear the electric click when i pull the trigger but it doesnt fire or send the bolt fired. It does this off and on and i couldnt figure out what it was. I brought it to my local gun shop and he re-soldered the connections for the solenoid thinking it was that. It works better now but after the gun stays off for a few hours and i turn it on it doesnt fire like before. Then all of a sudden it starts firing like it should. What could this be? What kind of battery are you using? Regular 9v batteries won't work, you really need the rechargeable 9.6v battery. It looks pretty flat to me, i dont think its blown.